Writing for advanced undergraduates and graduate students, Bishop covers foundational issues, policies, cryptography, systems design, assurance, and much more. He thoroughly addresses malware, vulnerability analysis, auditing, intrusion detection, and best-practice responses to attacks. In addition to new examples throughout, Bishop presents entirely new chapters on availability policy models and attack analysis. 1. Availability Policies, covering early availability policies (usually oriented around ‘fairness’); generalized to ‘quality of service’ policies for defining availability; and encompassing ideas related to network defense, reliability, and performance. 2. Attack Analysis, covering diverse attacks, linking them to attack models, and examining detection and related forensic issues. 3. Security Management, addressing the management of technology and policies for providing and assuring security, and presenting leading sets of management practices. 4. Electronic Voting, an ideal case study that integrates and applies policies, procedures, technology, and many other aspects of security in an important real world application. 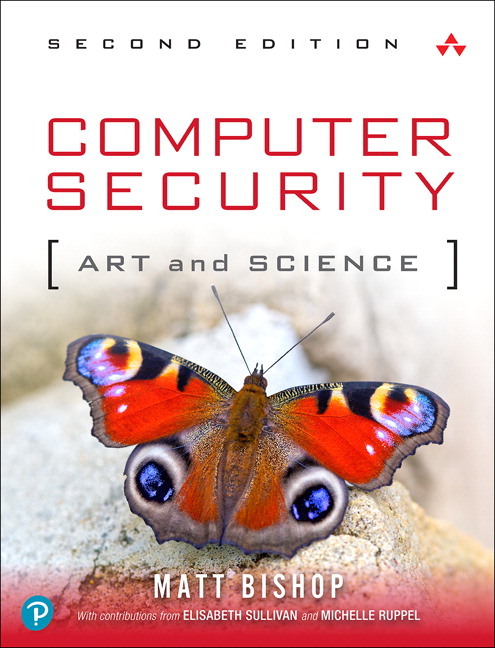 Other notable updates include extensive revisions to the chapter on Malicious Logic to reflect newer malware threats and advances in anti-malware techniques and technologies. Examples and exercises will be updated or added as appropriate. For all chapters, ‘Research Issues’ and ‘Further Reading’ sections will be updated. Matt Bishop is a professor in the Department of Computer Science at the University of California at Davis. 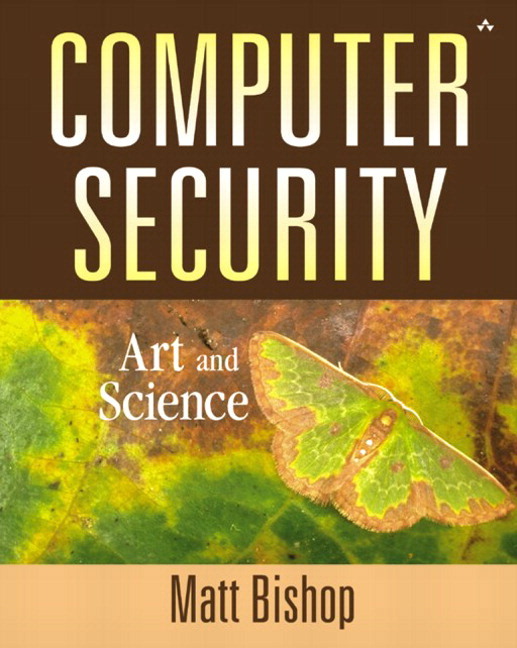 His main research interest is the analysis of vulnerabilities in computer systems, including modeling them, building tools to detect vulnerabilities, and ameliorating or eliminating them. He works in the areas of network security, including the study of denial of service attacks and defenses, policy modeling, software assurance testing, resilience, and formal modeling of access control. He was co-chair of the Joint Task Force that developed the Cybersecurity Curricula 2017: Curriculum Guidelines for Post-Secondary Degree Programs in Cybersecurity, released in December 2017. He earned his Ph.D. in computer science from Purdue University in 1984.